Keep your bags in the center of Madrid (San Bartolomé) and enjoy the city! 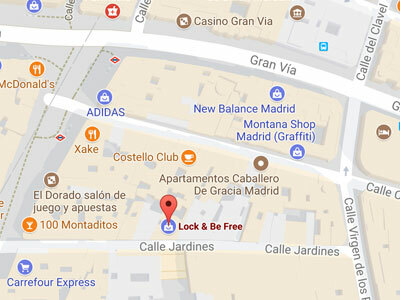 Leave your bags in the center of Madrid San Bartolomé 8 and live the city! Store your suitcase in a safe place with LockandBeFree with 24-hour security cameras, so you can visit the city without worries. Among the services you can find is the Print your boarding pass, you will not have to worry about finding a printer and Lockandbefree we offer this service for free. You can also contract with us your transfer to the airport and thus enjoy the most of your walk through the city. And if you bring a small backpack you can leave it with your free bag, what else can you expect? Book with Lock and Be Free and live the city. Excelente servicio. La atención es lo mejor! In addition to leaving your suitcase in Lock and Be Free you can charge your mobile whenever you need it. 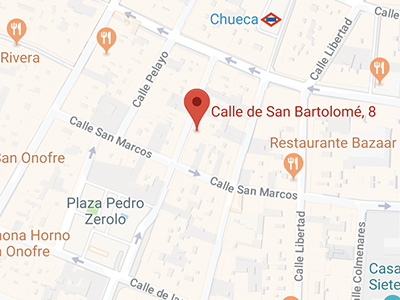 In our installation of Calle San Bartolomé, 8, you have at your disposal chargers for any type of mobile or tablet, and you can charge your device without paying anything, free. Ask our team. In our physical offices we have maps of the City of Madrid so that once you leave your suitcase you can walk and enjoy the City of Madrid. 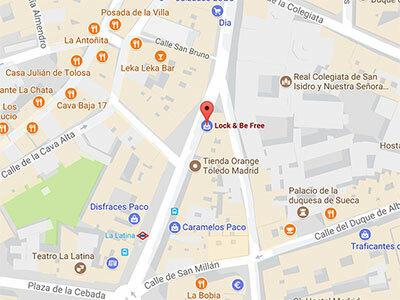 At our headquarters in Calle San Bartolomé, 8, you have free Wi-Fi to manage or check the information you need. Ask our staff.